My name is Margaret Hart and it's been two minutes since my last game of Words With Friends! Yes, I am addicted to the game that so many people are playing on their Smartphone and I am not ashamed to admit it. I only recently discovered Words when a friend invited me to play. It didn't take long for me to get hooked. I found myself inviting random players to games when the ones I was playing with my "real" friends slowed. I didn't have patience. I needed my Words fix. I had to find a new opponent. At one point, I had five games going. I have heard the max is 15, so maybe I'm not that addicted after all. I can understand why the actor Alec Baldwin allegedly took his iPad into an airplane bathroom recently to play Words when an airline attendant allegedly told him to turn it off because the plane was about to take off. I, too, found myself sitting on the toilet contemplating my next move just the other day! I knew then, that I had sunk to a new low. And during a particularly fun game one evening this week, I lost track of time and burned the pork chops. I decided to take a 24 hour break from Words. My husband has been getting on my case about my playing. He complains that everywhere we go my phone chimes and I'm always tapping on the screen. I could have said the same thing about him! His nose is always in his Blackberry, and he gets so many emails that there's always something buzzing attached to his hip. Even when he gets home from his 14 hour day of work, his nose is in his laptop. I think he's just jealous because he can't play Words on his device. It took me a few games to figure out some of the strategy to Words. Truth is, after each game where I got the pants beaten off me, I learned something. That drove me to test out what I'd learned on new opponents. Now that I am winning some games, and employing the strategies I've learned, I am suspicious that some of my random opponents (who keep beating me and then asking me to play again) are cheating. Cheating? How is that possible? It was my husband who tipped me off. When his nose was in his laptop the other night, he told me about an app that will help you win at Words. It figures. 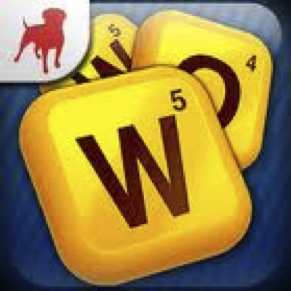 If there's software to help you win your bid on eBay, it stands to reason that someone would develop an app to help you win your game of Words. Because I am curious and have to check everything out, I downloaded the app that had the highest ratings and the most buzz, and read the instructions. I got the gist of it, but I never tested it out. I never intended to cheat, I just wanted to see how it worked. After all, I'm supposed to be good with words. The guilt would be too much for me. So next time my random opponent—who responds to my moves in under 30 seconds with the most esoteric word choices utilizing the highest scoring letters—asks me to play again, I'm going to politely decline. I'm old fashioned. I like to lose the old fashioned way.